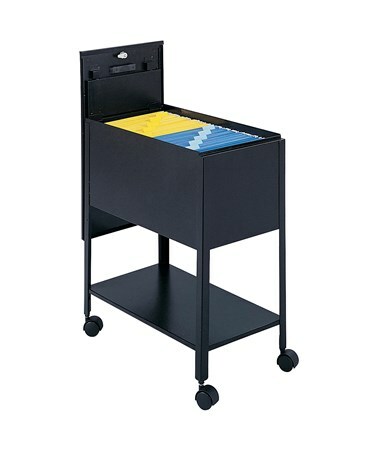 The Safco Extra Deep Mobile Tub File with Lock is a tough storage unit that provides a large and secure space for documents. It features a top viewing and extra deep design and a lid that can be locked to protect important documents. 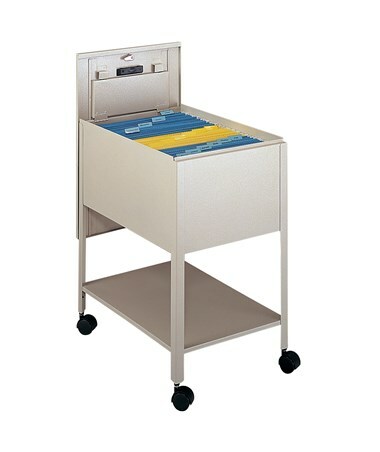 This tub file has a capacity of 300 pounds and can accommodate letter or legal-size hanging folders. It is mobile on four two-inch swivel casters with two wheels having locking brakes for a stationary option. 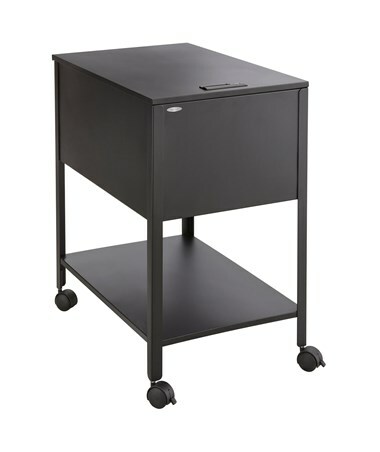 A lower shelf is also included to provide additional storage space. 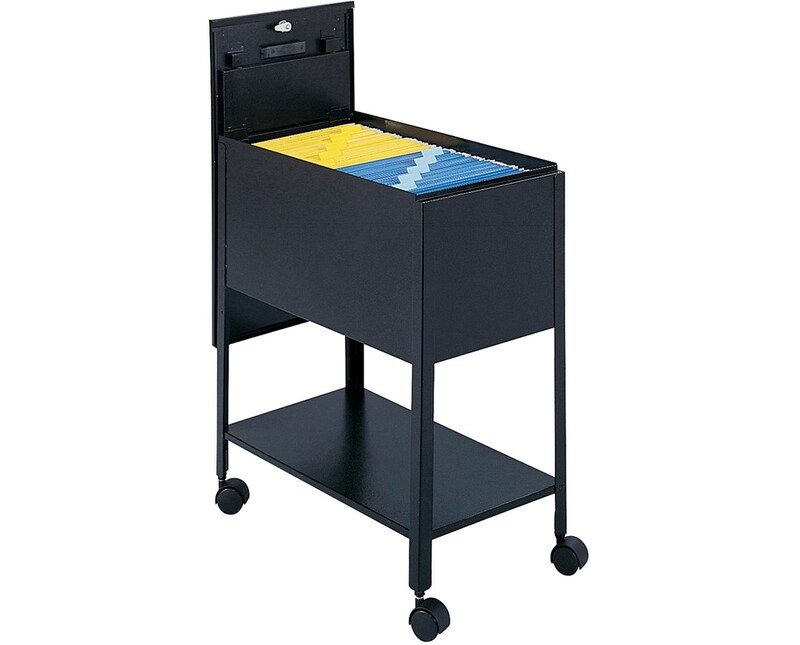 This file cart is made of 14 or 22-gauge steel with a powder coat finish and is safe for indoor use as certified by GREENGUARD. 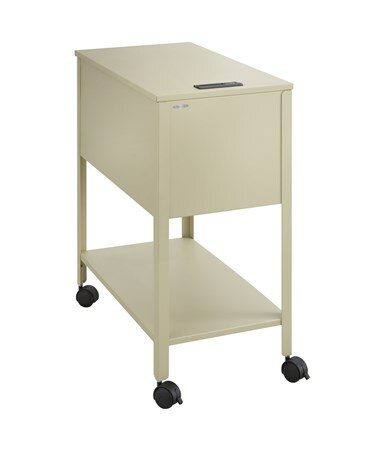 The Safco Extra Deep Mobile Tub File with Lock is available in two sizes and colors. Please select your preference from the drop-down menus above.